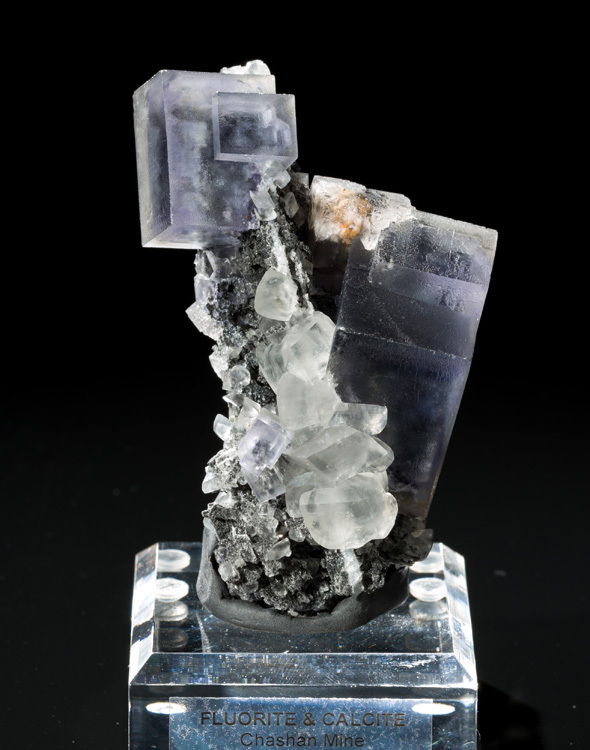 Very sharp, clean fluorite cubes are aesthetically oriented on the sparkly matrix matrial which also has an outcropping of white calcite crystals. 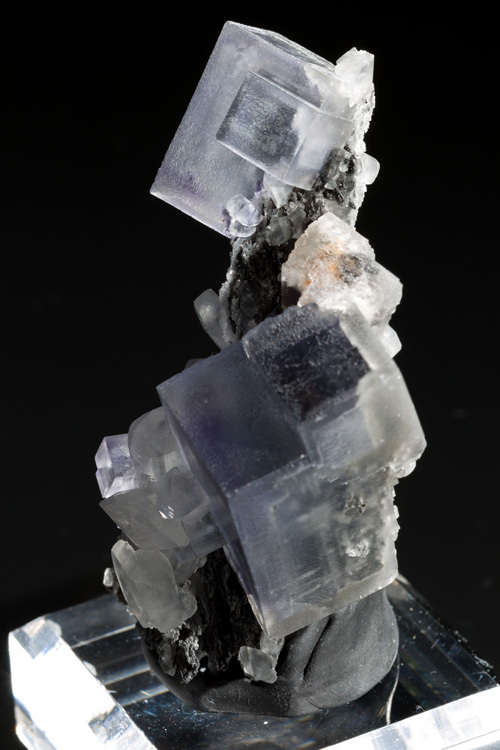 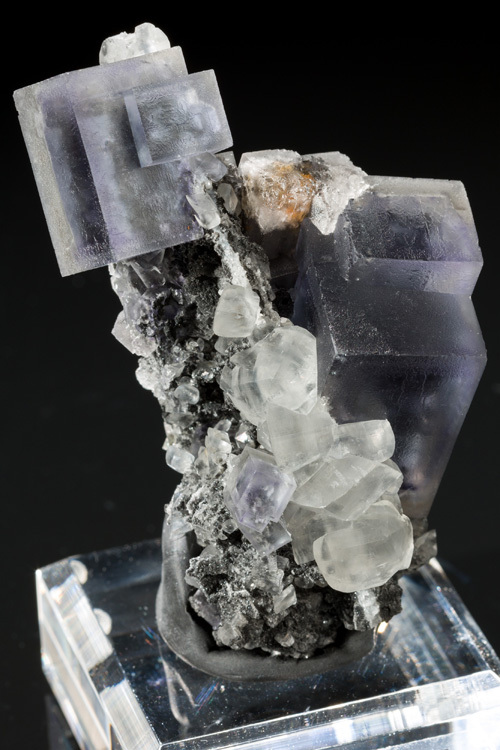 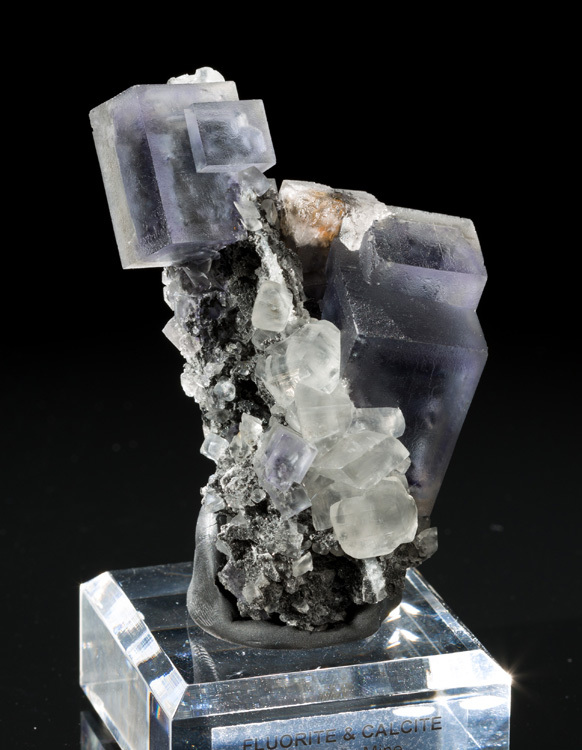 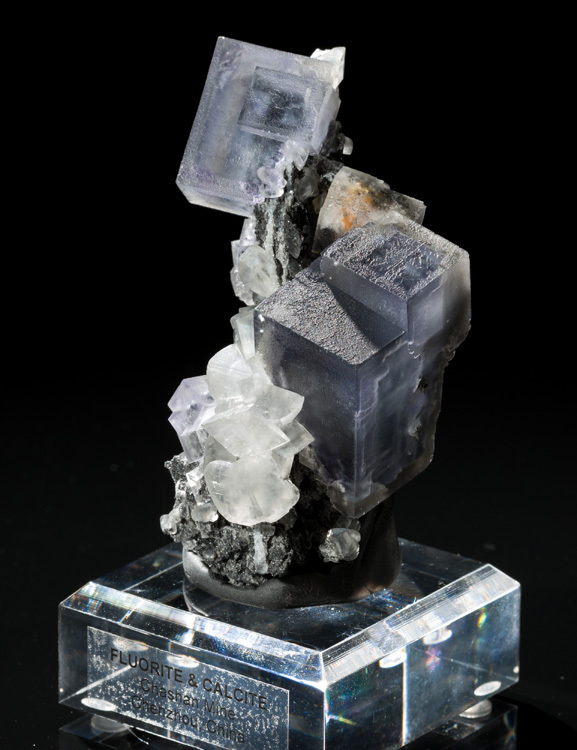 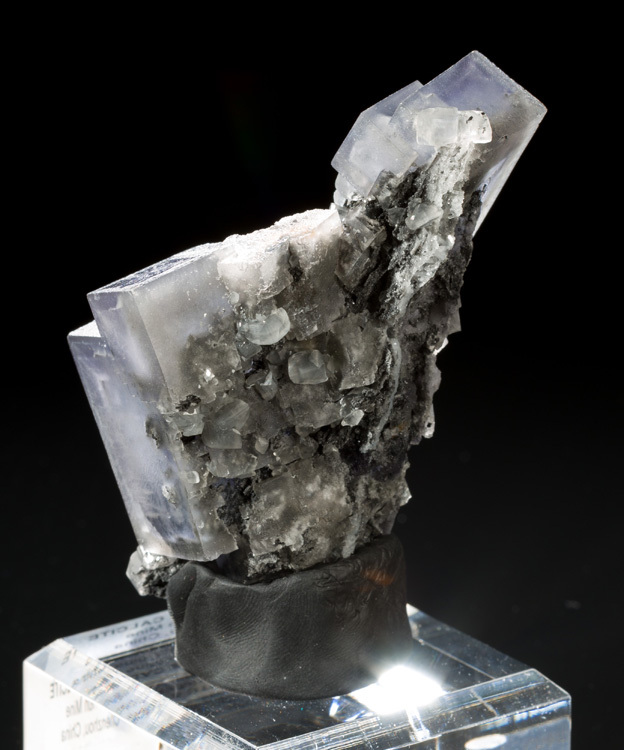 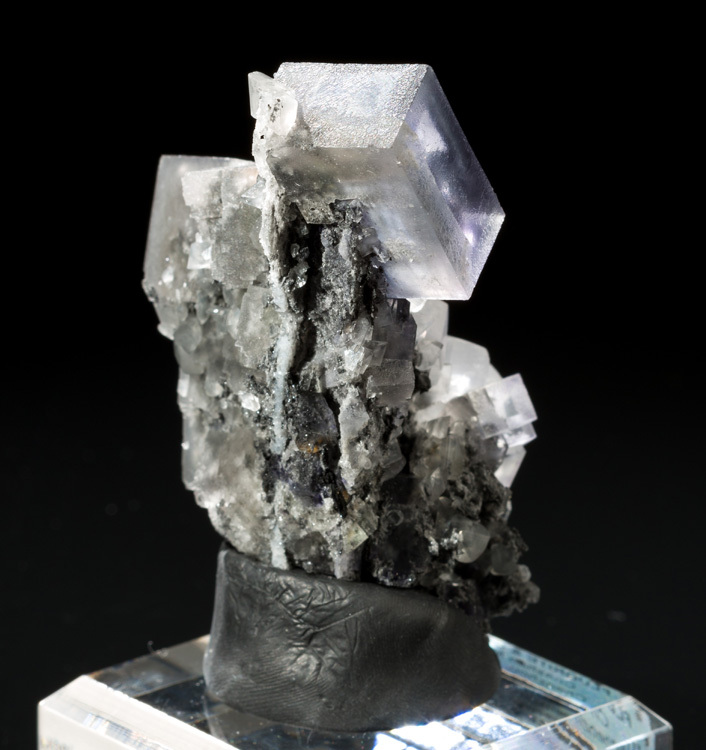 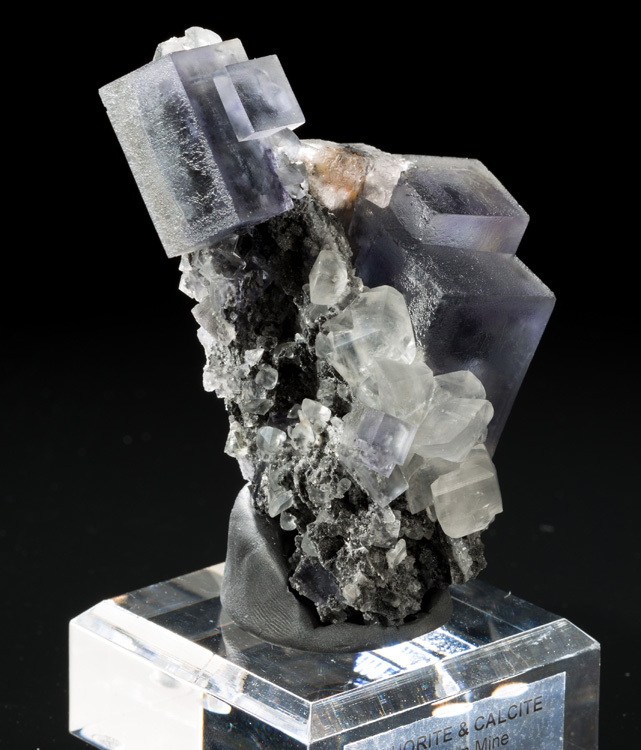 The fluorite is a greyish light purple color, and the largest cube is 3.0cm long. 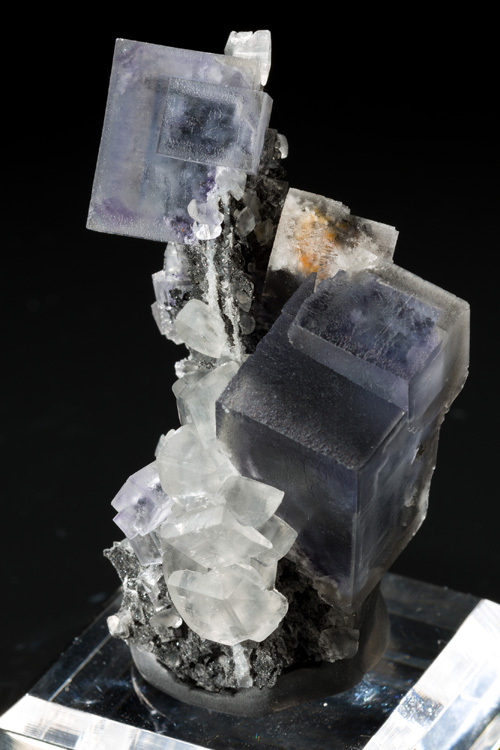 The cubes are translucent to transparent, and the on on top is clear enough to see the matrix inside of it. 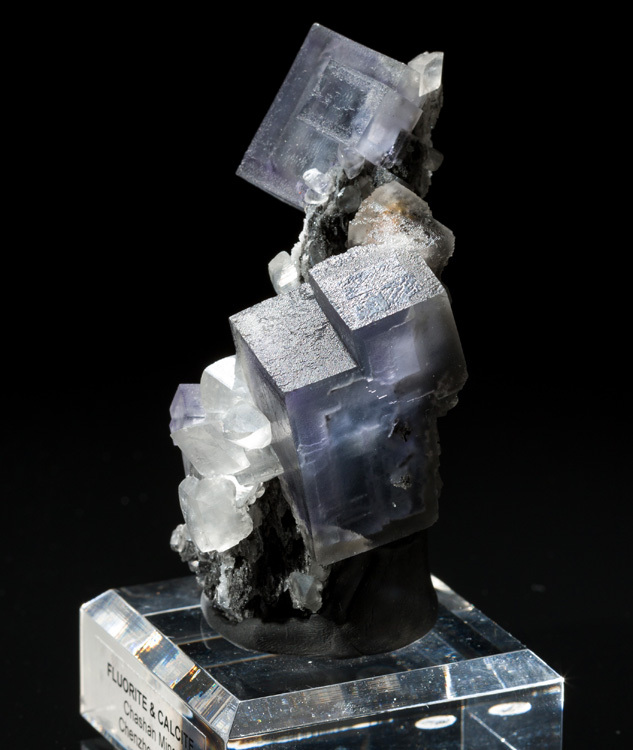 These fluorite crystals are very reminicent of those from Penfield, NY. 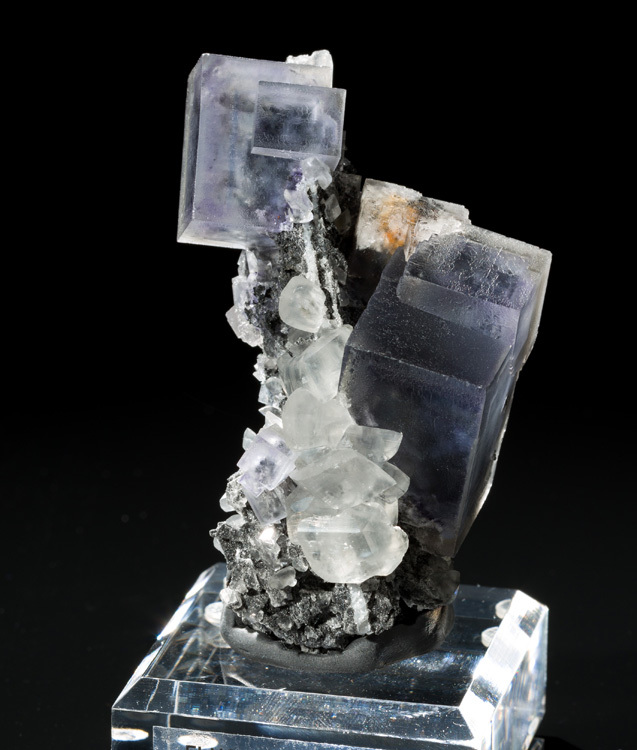 The specimen comes with a labeled acrlyic display base.